I really love our Cricut cartridges! Each cartridge has 700 images, so there is bound to be something for everyone. 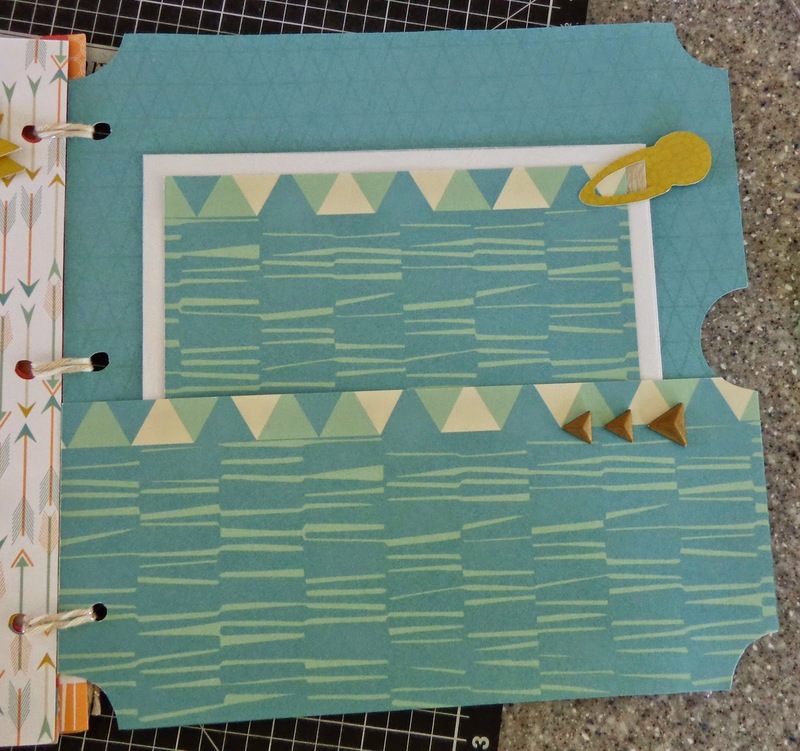 The Close to my Heart Cricut Artbooking cartridge is amazing since it takes all the guess-work out of cutting images! Just set the size shown on the page and away you go! Of course, you can set your own size if you necessary. So let's get on with the hop. If you got here from Terry Ann's blog, you are on the right track, but if you get lost along the way, just return to Michelle's blog in Nova Scotia for a complete list of hoppers! 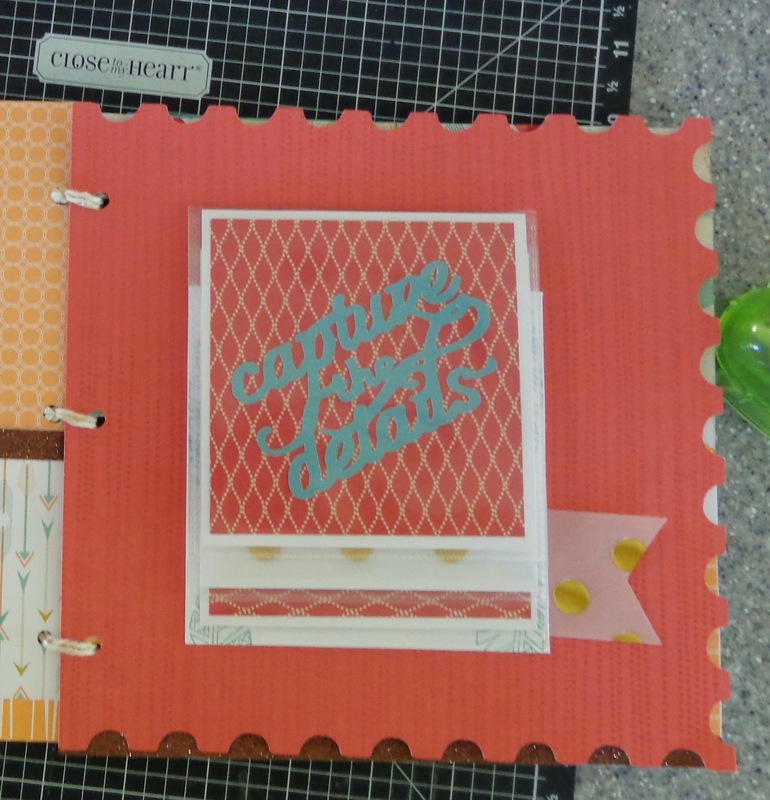 My project this month is a cute little mini-album. I used the Free to be Me paper pack that will be available in May for the remarkably low price of $5 with a $50 order! The paper is really beautiful, and I LOVE the vellum! All pages and the overlay on the front cover in the album were cut with the Cricut Artbooking cartridge from Close to my Heart. Some of the embellishments were also cut with Artbooking. Everything was cut using the Cricut Craft Room. The front cover is from page 45 - Photo Mat 1, cut at 8". The overlay is from page 44 - Overlay, also cut at 8". The vellum piece is cut at 6" X 6" and adhered only under the blue banners. The My Favorite Photos banner set is found on page 40 in the Artbooking manual and was cut at 5.5". On the next page, I added a pocket and two tags. The larger one is a piece of White Daisy cardstock that I cut to 4.5" X 6" and rounded the corners. It is meant to be a photo mat and will have a photo after Convention in June! 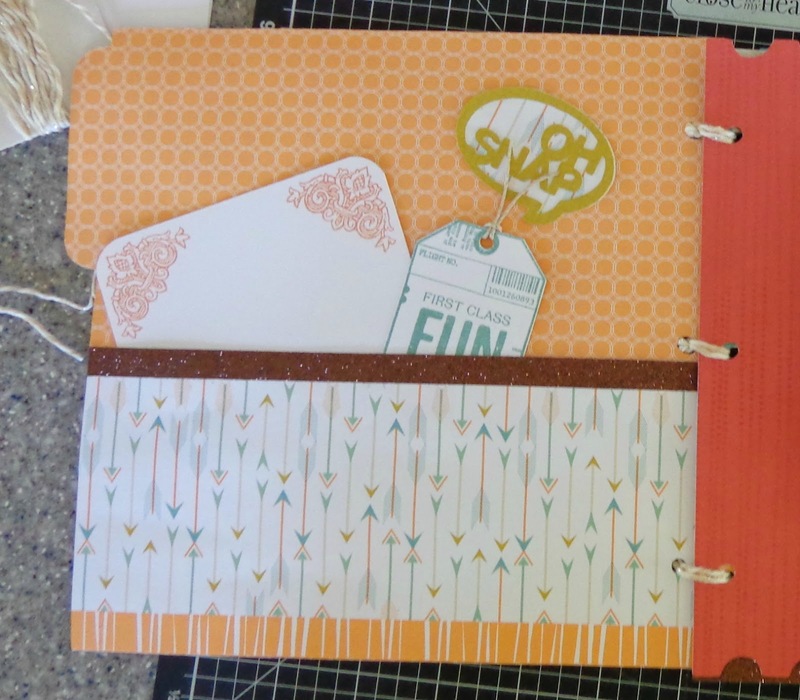 The corners were stamped with the corner stamp on the Balloon Ride set (D1590) in Sunset ink. The smaller tag is stamped with Juniper on White Daisy as well and I added a small piece of the Natural Hemp. I love the Oh Snap sentiment at the top! It is found on page 41 in the Artbooking manual and is cut at 1.5" from the greenish cardstock in the Free to be Me pack. I copied the image and then using the Hide feature in CCR, deleted all but the outline so I would have a solid image for the background. I added a piece of Bronze Shimmer Trip as well to finish off the pocket. Don't you just love Flip flaps?? I sure do! I made a waterfall here using three Flip Flaps, White Daisy cardstock to fit and then added the red diamond and vellum as mats for photos. I tucked a little piece of the gold dot vellum under the bottom mat which is stamped in Crystal Blue using the Feathers stamp set (C1584). Capture the Details is from page 44 and is cut at 4". It is adhered to the top mat in the first Flip Flap. 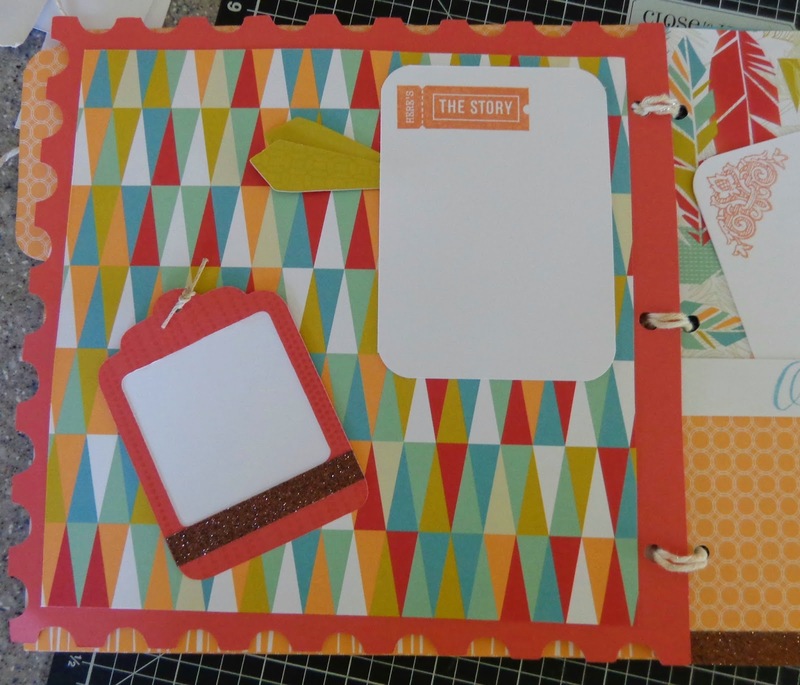 The next page uses a tag that is found on page 44 (Photo Mat 2) cut at 3". I added the Bronze Shimmer Trim for some added pop. The little arrows under the large tag are also from page 44 and are cut at .75". The stamp is from the True to Life stamp set (C1575) and is stamped in Sunset. I decided to add another pocket page with two photo mats which are each cut at 4" X 6" and stamped in the corners with the image from the Balloon Ride stamp set again, this time in Sorbet ink. I also added the little border with Our Own Little World from the Balloon Ride stamp set stamped in Crystal Blue ink. 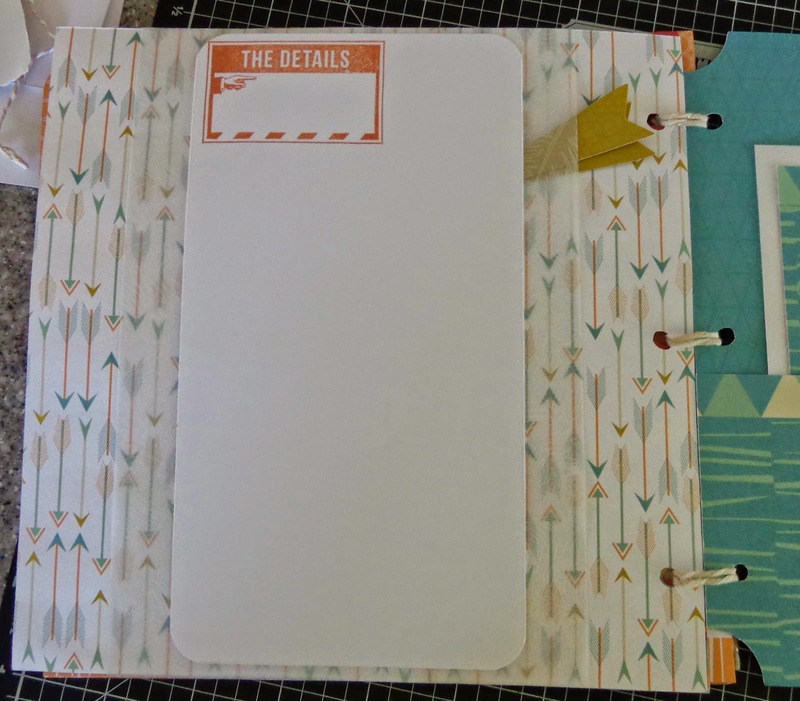 The next page is left quite plain and only has a journaling spot which is mounted on a piece of the feather vellum cut at 8" X 4". The image is from the True to Life stamp set again and is stamped in Sunset ink. The final page is another pocket page with one big insert. the little paper clip is form page 45 and is cut at 1.5". I added the three Triangle Durables Studs just because. That's it for this month! Please leave your comments as I do like to get your feedback. If you would like more information about any of the items in today's hop, please contact your local Close to my Heart Independent Consultant. Next on the hop is Kathy. Hop on over for some more beautiful artwork! How would you like a job where you can set your own hours, do something you love and make money doing it? Sign up during April and you can choose any of the CTMH Cricut cartridge sets valued at $99 absolutely FREE with your new consultant kit!! What a deal! Contact your local Close to my Heart Independent Consultant for information on how you can join today! I adore your mini album Janet - it's fabulous! Thanks for sharing! Great mini album -- all the pockets and places to tuck things. I can't wait to play with the new paper pack! love love this!! love the hidden flip flaps. This is a great album! Love the paper pack and how you've used it to best advantage. Super cute! I love that new paper. 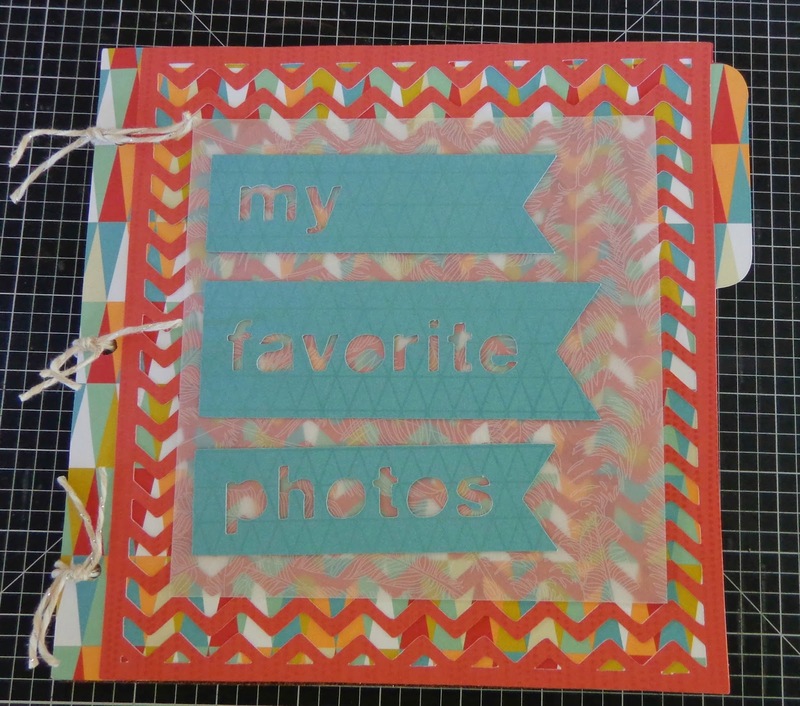 Fabulous mini-album....love that you used the new paper packet. Great work. Getting Ready for Convention at Disneyland!